For many Cambridge homeowners who need more space, moving may not be the answer. Most room additions consist of extending the size of your home by adding the new room to an exterior wall. Popular Cambridge room additions are new bedrooms, but dens, living rooms, dining rooms, and studies or studios can easily be included, depending on the needs of the family. A growing trend in today’s society is to add comfortable, private spaces for aging parents, while sharing the traditional family areas. Who can you trust when it comes times to spend thousands or ten of thousands of dollars on a remodeling project? You may take a recommendation from your friend, your co-worker, your neighbor. 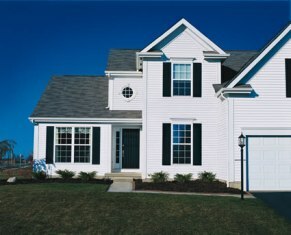 Finding a professional, reputable contractor in Cambridge can be difficult. So your only choice is to talk to a complete home services company, like Pann Home Services. We know how important it is to use quality materials and skilled contractors. We recognize the importance of communication and its lasting effect on the outcome of a home. We believe in the importance of understanding the homeowner’s personality in order to best suit their needs. Remodeling a home is about so much more than putting up walls or a roof, remodeling a home is building the place where you create your family’s home. Call our remodeling experts and we can show you some of the different options such as travertine tile, granite counter tops, frameless glass showers, and various cabinet designs. If you are looking for Cambridge Home Additions then please call 800.286.5959 or complete our online request form.